Operating like an extension of your hands, the Dream Cutter accessory affords unparalleled levels of tool control. Unleash the power of your machine and cut your dreams today. Dream Cutter is committed to protecting your privacy. This Privacy Statement explains what information we collect when you interact with our website. By accessing Dream Cutter, you acknowledge and fully understand Dream Cutter' Privacy Statement and freely consent to the information collection and use practices described in this Website Privacy Statement. Websites visited through links from this website may or may not have their own privacy statements and Dream Cutter is not responsible for the privacy practices or contents of those sites. I. Information that is gathered from visitors in addition to any information you voluntarily send to us by the content submit form (refer to SUBMIT menu option), our site also collects information common with other websites, log files are stored on the web server saving details such as the visitor's IP address, browser type, referring page and time of visit. Web page data “cookies” may be used to remember visitor preferences when interacting with the website. Where registration is required, the visitor's email and a user-name will be stored on the server. Dream Cutter collects certain information from and about its users in three ways: directly from web server logs, through our submit forms (e-mail), and applications (games and surveys). 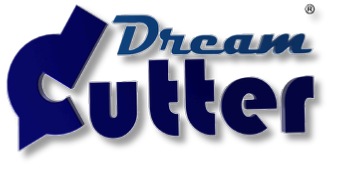 Dream Cutter makes use of an e-mail form, that when filled out and submitted gathers general information about the site's visitors, such as their e-mail address (optional), IP numbers, operating system and browser version. The information gathered from server logs and submit forms is only of general use and reference to helps us understand the number of visitors the site receives and how can serve them best. c. Data collection from games, communication polls and surveys. II. How the Information is used. The information is used to enhance the visitor's experience when using the website to display personalized content, advertising and data aggregation for trending purposes. a. E-mail addresses will not be sold, rented or leased to 3rd parties. E-mail may be sent to inform you of news of our services or offers by us or our affiliates. To pay for our services we use third-party advertising companies to serve ads when you visit our website. These companies may use information (not including your name, address, e-mail address, or telephone number) about your visits to this and other websites in order to provide advertisements about goods and services of interest to you. If you would like more information about this practice and to know your choices about not having this information used by these companies, please visit http://www.networkadvertising.org.